The Leukemia Stem Cell group, led by Dr. Ruth M. Risueño, has recently identified a new mechanism to fight against the Acute Myeloid Leukemia (AML). Although 50-86% of acute myeloid leukemia patients initially respond well to treatment most of them relapse later on. Within the tumour it is the leukemia stem cells that are responsible for the start, the continuation and the return of leukemia after the first cancer cells are killed off by the treatment. 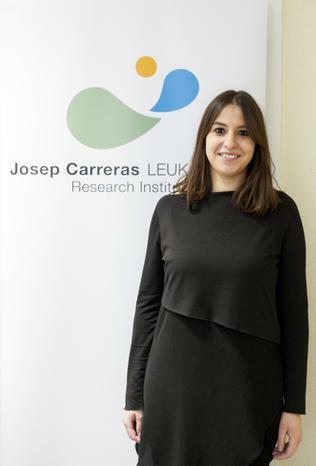 This research, carried out by the young researcher Amaia Etxabe has described a possible way to treat this particular type of blood cancer by targeting the leukemia stem cells and activating a natural mechanism within the cells that causes them to die off and reduced their ability to form cancerous growth while leaving healthy blood cells unaffected. So far these experiments have been carried out in the laboratory, but they indicate a possible way to target leukemia cells in patients.